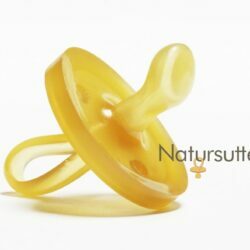 100% natural rubber pacifier. Plastic free, BPA-Free, Phthalate-Free, PVC-Free, and Paraben-Free. 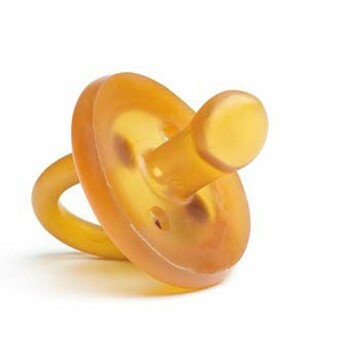 Ecopiggy Ecopacifier is the preferred natural rubber pacifier. Sustainably made from 100% natural rubber, from the tree Hevea Brasiliensis, ecopacifier is softer and more natural than artificial silicone. The round shield lightly touches the child’s nose, simulating the soothing feel of breast feeding. 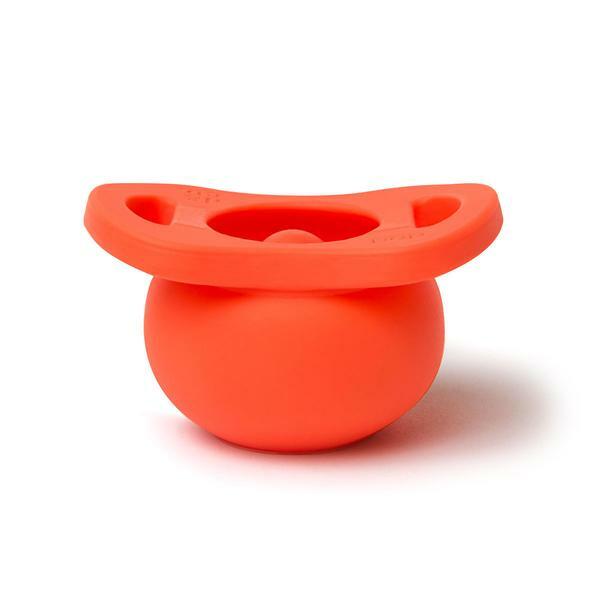 Ecopacifier’s single-piece design ensures no small pieces to gather dirt and germs, and no small pieces means no choking hazards. Ecopiggy natural rubber pacifiers are made without chemical softeners or colorants, and are BPA-Free, Phthalate-Free, PVC-Free, and Paraben-Free. 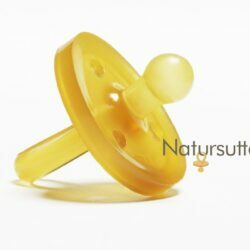 Children love the natural soothing effects of Ecopacifier, offered in two styles; Orthodontic and Rounded. 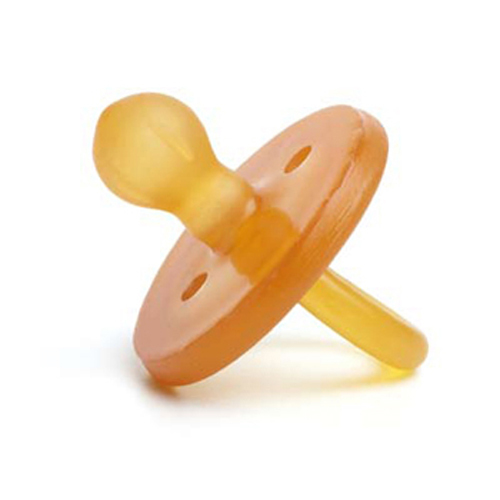 Due to the soft quality of Ecopacifier, our natural rubber pacifier will not leave marks on your child’s face. Child happy. Parents happy.